Yes, that’s right, those wishing to give the British people a further say could receive an even bigger slap in the face than the first time round. It almost makes it quite an attractive proposition – were it not such a divisive distraction that also feeds the dragon of a second Scottish independence referendum – so let’s not go there.  Let me run through the questions to bring regular readers of Global Britain a few smiles. Although anecdotal, it was interesting to watch a BBC Newsnight clip last Wednesday where a local spectator outside a Stoke City v. Derby County match was interviewed and admitted that although he voted Remain he was now thoroughly a Leaver – in reaction to the way that the EU had behaved towards his country and our negotiators. I do not think this attitude is isolated. The Withdrawal Agreement is not a deal at all, it is only the divorce settlement – but it keeps the marriage very much alive, and as more and more people realise it so it shall become more unpopular – and the Conservative Party along with it. As always, one poll does not an outcome make – we need to look at trends in polling to gain a sense of them being reasonably accurate – but subsequent polling, such as this done by ComRes has shown a similar outcome in attitudes to the Global Britain polling – giving the Prime Minister and her supporters no solace.